Civil War (ca. 1040 B.C.) - After the death of Saul, David was finally ready to become king. But it was not a smooth transition. 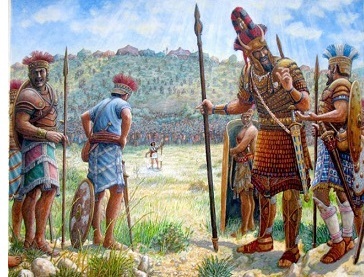 One of Saul's generals, Abner, anointed Saul's son, Ish-bosheth, king over Israel, and a civil war ensued. David ruled Judah and Ish-bosheth ruled the rest of Israel while the war lasted, which was about two years.